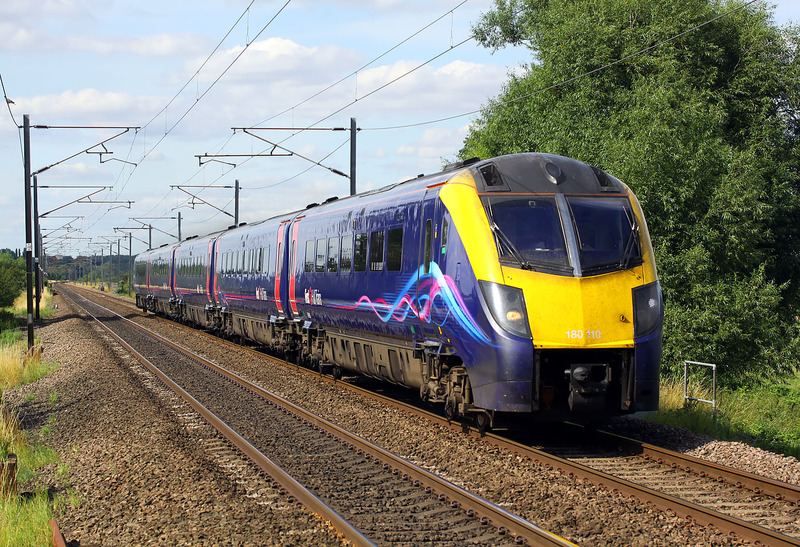 The wood pigeon sitting on the return wire on the extreme left takes no notice as 180110 speeds past Scrooby on 21 July 2014 with the 1A95 15:10 Hull to Kings Cross Hull Trains service. This photo is taken from a public footpath crossing, where the adjacent gate giving vehicular access to the fields had seven generations of padlock securing it! Obviously only one needed to be undone to open the gate, but all the others had been retained for no obvious reason!